IT is funny how these things work out in life, how words spoken in jest can often come back to haunt you, even in the madcap world of sports journalism. Just the other day a very good friend of mine in the media -- I do have some you know -- and myself were discussing last Friday’s scheduled sit-down with Giovanni Trapattoni in Dublin. Trap was in town for the annual Airtricity Soccer Writers Association annual banquet at the Conrad Hotel, one of my favorite nights of the year. Thankfully -- and my head is still paying the price -- this year’s dinner was as good as ever. Michael O’Neill, now the Northern Ireland manager, won the award in light of his success with Shamrock Rovers and spoke eloquently when he accepted it, as I knew he would. He also had his photo taken with Republic counterpart Trapattoni, honored on the night for getting Ireland to the European finals that will mean so much to all of us this summer. There may be animosity between north and south over the poaching of players, but these two football managers were the essence of good behavior as they smiled happily for the cameras on Friday evening. O’Neill even had a photo taken with his replacement as Hoops boss,, and was seen chatting amicably to Stephen Kenny for a good 10 minutes, passing on some Tallaght trade secrets perhaps. Before all of that, Trap had a bit of business to attend to at the Clarion Hotel in Dublin Airport as he sat down with many of the soccer writers who would welcome him to the Conrad later that same night. His first briefing of the year, the European Championship year, was always going to be interesting. My aforementioned colleague and I had a beer the night before the press conference when we wondered aloud what line of questioning to approach the next day. Much has been said, written and even asked about Euro 2012 since Ireland qualified against Estonia back in November. Trap has enough awards at this stage to fill a 40-foot container, so we tried to work out what was left to digest at the first interview of the year. “What about Stephen Ireland, we haven’t had a Stephen Ireland question for a long time,” suggested my good friend in light of the fact that said Stephen is now very much the man of the moment as far as Aston Villa fans are concerned. 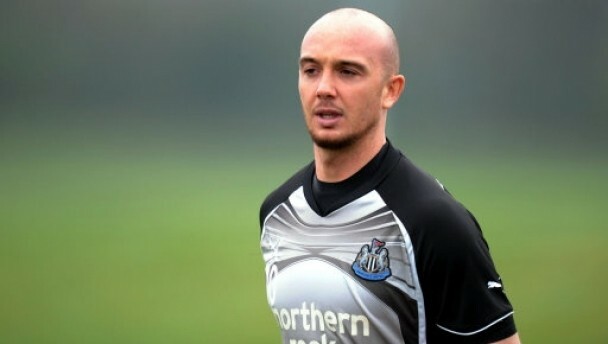 As it happened the Stephen Ireland question was irrelevant on Friday. Trap revealed he would watch James McClean play for Sunderland on Saturday, then all but suggested that Stoke City’s Marc Wilson could return to Northern Ireland for all he cared after a recent but unspecified breach of discipline. The Stephen Ireland issue was redundant on Friday afternoon and again on Friday night when Trap mingled freely with those who frequent the wonderful world of Irish football. By Monday morning it was a live and very hot issue again after Ireland delivered a man of the match performance for Villa against Everton and suggested, sort of, afterwards that he would consider an international return -- but only if the call came from Trapattoni. By Monday afternoon even Trap was discussing the latest Stephen Ireland position -- albeit with a “I don’t wish to comment at this time” comment that said more by what it didn’t say if you know what I mean. Since then various football folk, many of them who were in the Conrad last Friday, have been debating the merits of any Ireland involvement with Ireland at this summer’s European finals. The consensus, I would suggest, is that Stephen Ireland shouldn’t wait by the telephone for a call from our Italian manager. There is too much water under the bridge that divides them now for Trapattoni to even consider bringing such a player at the expense of someone who actually helped get Ireland to the finals. The Irish boss is a loyal man. It will break his heart when the likes of Andy Keogh or even Seamus Coleman are told there isn’t enough room for them in the 23-man squad bound for Poland this summer. Trap said as much at that briefing last Friday. “I will be sad when I have to tell players I cannot include them for the European Championships,” said Trapattoni then, before the latest storm in a Stephen Ireland tee-shirt. That’s why there is just no way that the Corkonian Ireland will be offered a return to international football before next season at the earliest. And by then, young Ireland will probably have lost interest in his country. Again. SOCCER: The Celtic manager Neil Lennon is very keen to hang onto top scorer Gary Hooper as you will read elsewhere on these pages. Already, Lennon has dismissed two bids from Championship leaders Southampton for the Englishman but expects more before the transfer window closes at the end of the month. Lennon said he will only consider selling Hooper for the sort of money that Liverpool paid Newcastle for Andy Carroll, £35 million sterling as it happened. If anything, the Celtic boss has erred on the side of caution. On current form, Gary Hooper is a better player than Andy Carroll. By a long shot. ATHLETICS: The Irish Times ran a remarkable interview with the Arizona-based athlete Martin Fagan on Monday, 24 hours or so before he was banned for two years for taking the banned substance EPO. Fagan has held his hands up and accepted his crime and his punishment which, if you have read the interview, is not a big deal considering the issues in his life. Depression is the major issue behind Fagan’s current problems, and no banned substance is going to help out with that one. What he did was wrong, but Fagan needs support from his friends now -- and his sport. SOCCER: Seven Irish players ended up on the field when Aston Villa played Everton on Saturday -- Given, Dunne, Clark, Keane, Ireland, Duffy and Coleman. Almost 20 Irish players, 19 to be precise, saw Premier League action in England last weekend. Maybe things are looking up for our best soccer players -- or maybe the fact there’s a European Championship finals around the corner has raised the bar for everyone eligible for Giovanni Trapattoni’s team. GAA: Graham Geraghty made another comeback as a second half sub for Meath in Sunday’s O’Byrne Cup win over Louth as he doubled up his new role as a player and selector with the Royals. He said afterwards he wants to play more this season, but manager Seamus McEnaney is making no promises -- even if Geraghty can vote for himself when it comes to picking the team. SOCCER: Jason McAteer was the guest speaker at the Soccer Writers Association annual dinner on Friday night, and a very good job he did too. In light of recent returns by Paul Scholes and Thierry Henry, Trigger even offered to come back to the Ireland fold with the watching Giovanni Trapattoni’s team, but I think the offer was lost in translation! SOCCER: Thierry Henry cursed at the Arsenal fans who booed his team’s performance in Sunday’s abject defeat, to Swansea of all people. Now he knows how we felt in Paris. And trust me, I’d have thrown more than a few expletives in his direction that night. GAA: Donegal great Brian McEniff and Dublin hero John O’Leary have joined the management team with Louth. Who’s next? Maybe Jimmy Keaveney could make a comeback as well. On the field. GLENN Whelan has many critics. The Ireland and Stoke midfielder accepts it as a way of life but he doesn’t let it interfere with his role as a professional footballer with club or country. A year ago it looked like Whelan was heading out the door at Stoke and out of favor with Irish boss Giovanni Trapattoni, but the Dubliner stuck to his guns. Since then he has played in the FA Cup final, guided his country to the European Championship finals and earned a new four and half year deal with City which he signed this week. Perseverance has paid off for Whelan, and maybe now the knockers will lay off as well. JUST over a week ago, the Manchester City boss Roberto Mancini was vicious in his criticism of Wayne Rooney for waving an imaginary card at a referee and trying to get his player sent off in a big FA Cup game. By Monday night, the boot was on the other foot when Mancini tried to get an opposition player red carded and waved his own “card” at the ref as his team beat Wigan to move three points clear of United at the top of the English Premier League. It’s not the first time Mancini has behaved like this. He really should know better and not be so hypocritical about it.